I chose beautiful Red Bank, New Jersey as the beautiful home of the Life As Fine Art studio. A mecca of fine dining, fine art and high-fashion shopping boutiques, it is a place that many call "The Soho of New Jersey." ...YES, IT IS EVEN BUILT INSIDE A FORMER CHURCH. "house of worship"... dedicated to celebrating my clients' beauty. the ultimate in privacy, pampering and an extraordinary day in our hip little town. Prosecco and chocolate...always flowing here the studio! 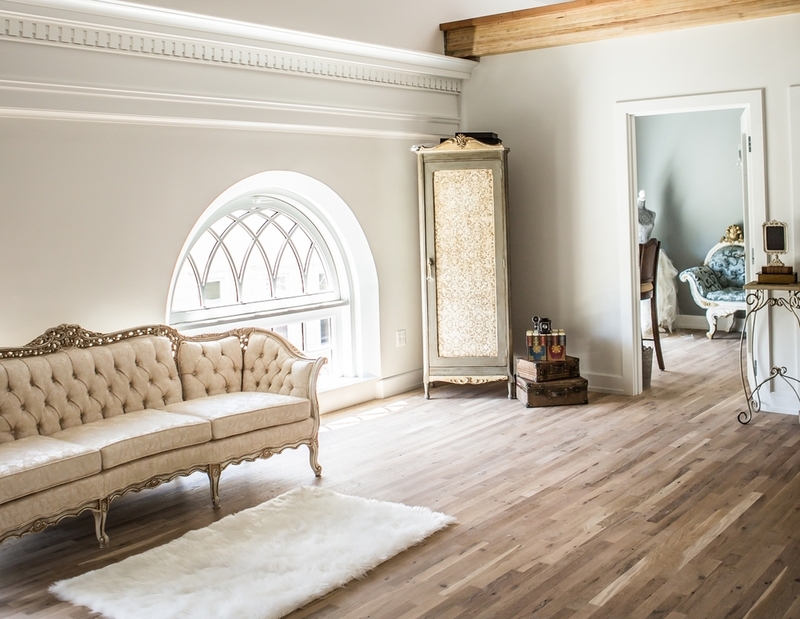 ALL ADDS TO THE UNIQUE SETTING FOR YOUR BOUDOIR PHOTO EXPERIENCE. GOTHIC WINDOWS, SOARING CEILINGS...THE PERFECT SPACE TO RELAX AND UNWIND. Smithsonian Magazine voted Red Bank, NJ one of the top 3 Coolest Towns in America. Vibrant and hip meet Victorian charm in Red Bank. Each day our sidewalks come alive to offer visitors an experience that is as unique as our town itself. Frequently called the SoHo of New Jersey, Red Bankhas some of the most sought-after and diverse retail, entertainment and dining options on the east coast. A short jaunt from New York City, it's delightfully vibrant yet relaxing and quaint. Make a day or weekend out of your session with me! SHOP: Whether looking for the latest fashion, antiquing or gallery hopping, you’ll discover an array of boutiques and shops to surprise and delight you. You will easily find the earrings your girlfriend can’t, the dress to make a wedding spectacular, the perfect comestible for your dinner party, and countless treasures that make Red Bank a true destination for the finders of the unique. DINE: Our restaurants tickle the taste buds with savory and sweet cuisines. From a quick bite, to a business lunch, to an exquisitely prepared artisan meal, you’ll find it here. Coffee houses, dessert shops, delis and the most superb casual and fine dining options make Red Bank a true dining mecca that couldn’t possibly be conquered in just one trip. EXPLORE: Your adventure begins the moment you step onto our sidewalks. National acts and local productions light up the stages of the renowned Count Basie and Two River Theaters and live music fills our lounges and nightclubs. Take in the best independent movies at our arts cinema; play the night away at a retro arcade game or with a hands-on craft; pamper yourself at world-class spas and salons; or take a stroll along the picturesque Navesink River. End your stay on a soft pillow at our historic boutique hotels. INTERESTED IN PLANNING YOUR DAY HERE? Download the Life As Fine Art Mobile App (Coming soon). It will help you prepare for your session and navigate all our beautiful town has to offer.